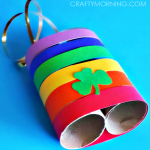 Here’s an easy St Patricks Day craft for the kids to make – a rainbow pot o’ gold chain link! 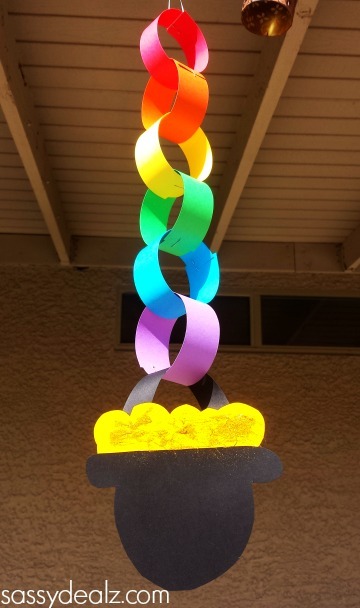 It’s a great decoration piece for parties or to hang outside! 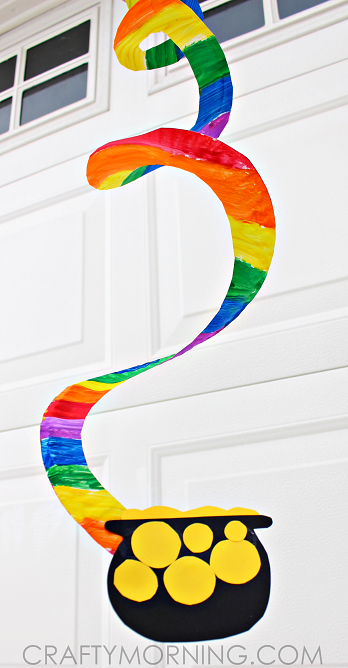 I love how this art project turned out. 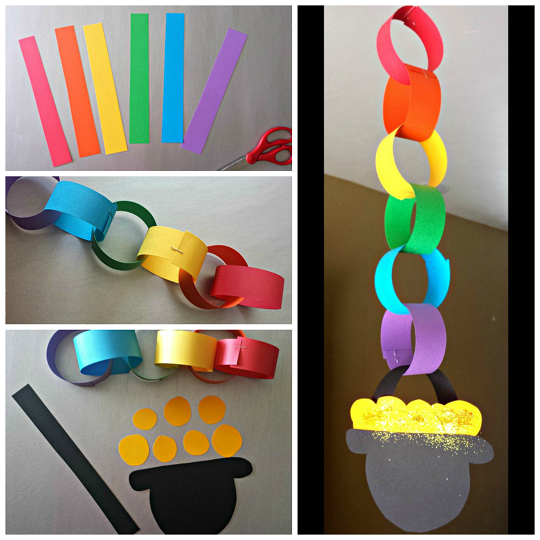 Make sure to check out our rainbow chain necklaces too! 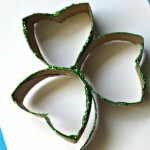 You will need construction paper, scissors, gold glitter, glue, tape, and floss to make this. 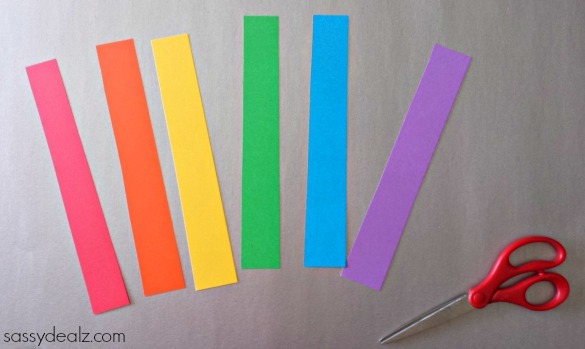 Start by cutting red, orange, yellow, green, blue, and purple strips of paper. 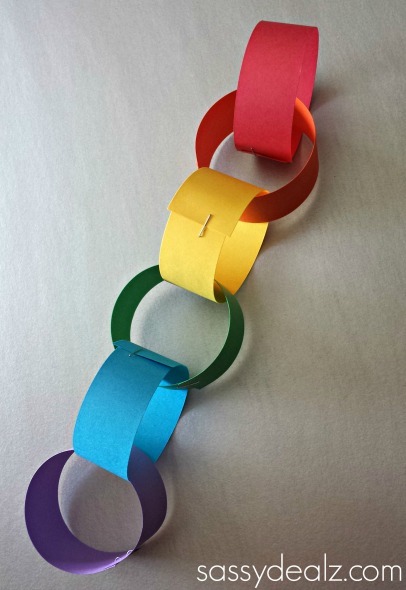 Roll them into circles and staple them together to make rainbow chain links. 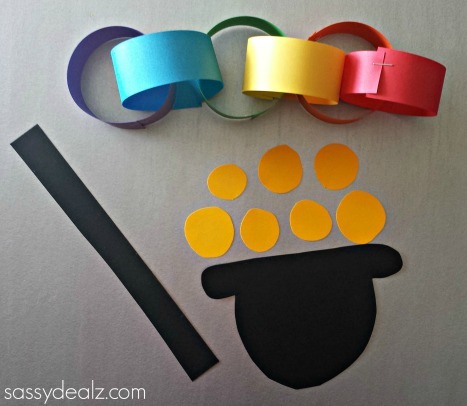 Cut out a black pot, a handle, and yellow circles for the gold. 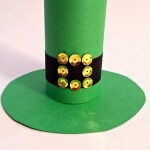 Glue the yellow circles together and glue it to the top of the black pot. Tape one side of the handle to the back of the pot and loop it through the purple one, taping it on the other side. 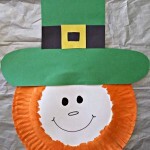 If you don’t want the tape to show you could use glue or paste another black pot on the back. 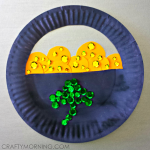 After that we put some glue on the yellow circles and sprinkled gold glitter. Lastly we put some floss on the top and hung it up to hang! So cute. 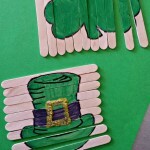 Don’t miss our other cool St. Patrick’s day crafts for kids! 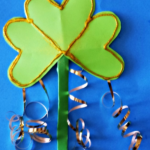 Check out our paper plate end of the rainbow twirler, too! 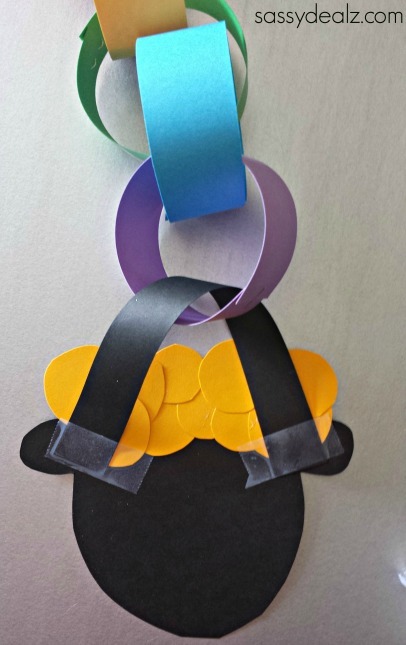 I made the Rainbow Pot of Gold dangler for our St. Patrick’s Day party for a decoration. 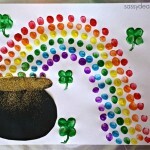 It is so pretty and colorful. 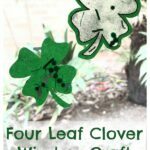 The grandkids liked it but didn’t get time to make theirs so we are going to make it for Spring by putting a basket of flowers at the bottom instead of the Pot of Gold. Thanks! We Did It Today. Kids LOVEDIT! !